In 1456, King John II of Cyprus appointed his illegitimate son James as Latin Archbishop of Nicosia. James was just 16 at the time. 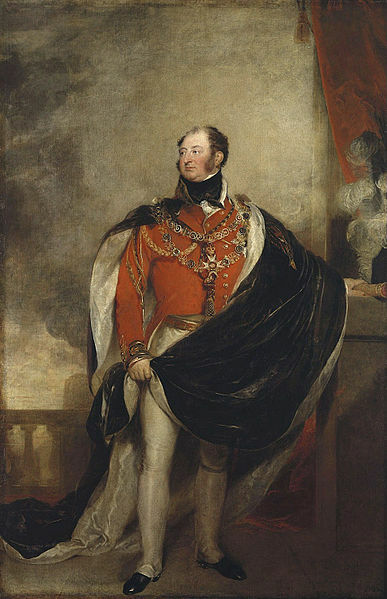 James soon lost his position, being forced to flee the following year after murdering the Royal Chamberlain. Later, he was pardoned and regained the position. In 1463, he became King James II of Cyprus after ousting the Queen, his half-sister Charlotte who had succeeded their father John II. Although it was not uncommon for medieval monarchs to put relatives in prominent positions in the church, James' youth seems to be very unusual. Googling has not turned up any other information on very young archbishops or bishops. The only other 'teen' I've been able to find is Odo of Bayeux, half brother of William the Conqueror. Unfortunately, we don't know his year of birth; estimates range from 1030 to 1035 so he may have been as young as 14 or as old as 19 when his brother William made him bishop in either 1049 or 1050. Were there any archbishops or bishops, either from the medieval period or later, who are known to have been younger than James when they were appointed? Or is the case of James, and even a possibly older 19-year-old Odo, extremely unusual? I'd imagine that the youngest ever bishop would have to be Prince Frederick, Duke of York and Albany, the second son of King George III. Born on 16 August 1763, he was appointed as Prince Bishop of Osnabrück on 27 February 1764, at the age of just 6 months and 11 days! He would be the last Prince Bishop of Osnabrück. Hugh of Vermandois replaced Artauld as Archbishop of Reims in 925, at the age of five. It was part of the rebellion of his father, Hugh II of Vermandois. Hugh II joined with Robert, the Count of Paris and father of Hugh Capet. They had the backing of Otto I against the current king of France, Rudolph. When Hugh's plans failed in 931, Artauld regained his position as archbishop. The Archbishop of Reims was probably the most powerful archbishop of West Francia at the time. It had begun crowning the King of Franks, and would soon ally with the Capets. In 933 Emperor Romanus I Lekapenos appointed his youngest son, Theophylaktos (917-956) Patriarch (and thus bishop) of Constantinople aged 16. Rannuccio Farnese (1530-1565) was made a Cardinal-deacon in 1545 age 15 by his grandfather Pope Paul III. He was also granted several bishoprics, including titular Latin Patriarch of Constantinople in 1546 age 15 or 16. His oldest brother Alessandro (1520-1589) was appointed Bishop of Monreal in Sicily in 1536 aged 15 years, 7 months, and 10 days. I am sure I have heard of younger bishops than those, but I can't seem to find any mentioned online at the moment. I know that there have been a few cardinals in the Renaissance who were younger than 16, but they could have been cardinal-deacons or cardinal-priests instead of cardinal-bishops. Perhaps: Theophylactus of Tusculum was elected Pope Benedict IX (aka "Bishop of Rome") in the year 1032. Horace K. Mann, writing in the Catholic Encyclopedia says Benedict IX was about 20 when made pontiff in October 1032. Other sources state 11 or 12, based upon the unsubstantiated testimony of Rupert Glaber, a monk of St. Germanus at Auxerre. Not the answer you're looking for? Browse other questions tagged middle-ages europe catholic-church early-modern or ask your own question. Has Catholic excommunication ever caused the dethronement of any king? Is there any evidence of improved sanitation in the years following the Black Death?